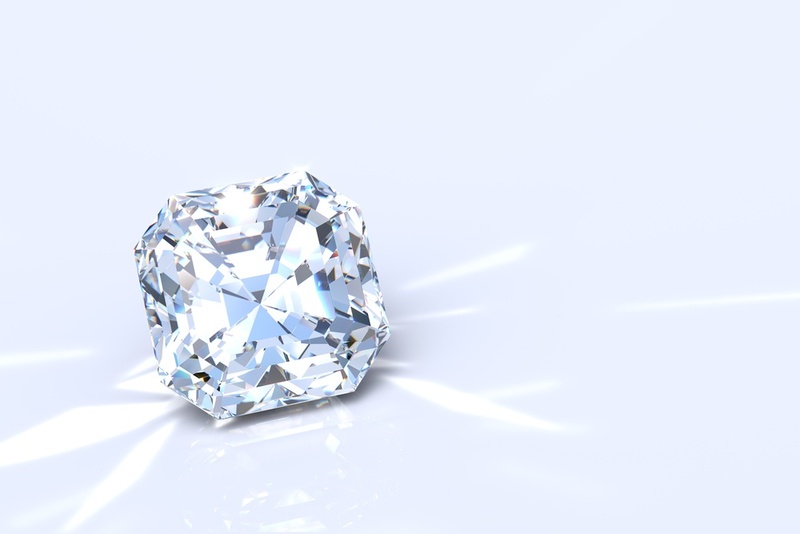 Almost everyone has heard of a round or princess-cut diamond, but what about the Royal Asscher cut? The Asscher cut is a step-cut diamond that was created by the I.J. Asscher Company (now the Royal Asscher Diamond Company) in the mid-nineteenth century and peaked in popularity in the 1920s. Vintage fashion has always had its place alongside mainstream trends, but with the explosive success of shows like Downton Abbey and Boardwalk Empire (and the many period dramas that followed), twentieth century-inspired jewelry is in high demand. In particular, today’s brides gravitate towards geometric Art Deco jewelry. The Royal Asscher diamond’s square shape and “hall of mirrors” effect perfectly complements the luxury and glamour of the Art Deco era. 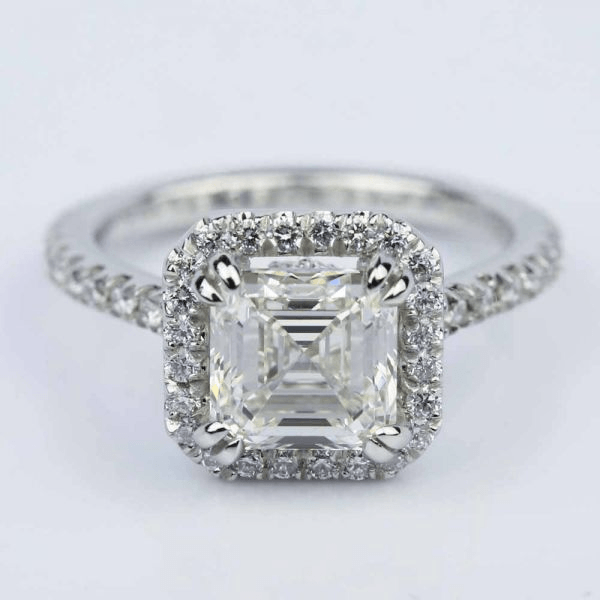 If you’re looking for a vintage or even vintage-inspired ring, you can’t go wrong with a Royal Asscher engagement ring! Another reason to love the Royal Asscher diamond is its brilliance. Due to the limited diamond-cutting techniques of past centuries, vintage and vintage-style diamonds (such as the “euro” cut diamond) are not known for their fire over their brilliance. Step cuts, like those in the Royal Asscher diamond, generally have less “sparkle” than other cuts. The Royal Asscher, however, was engineered for brilliance. 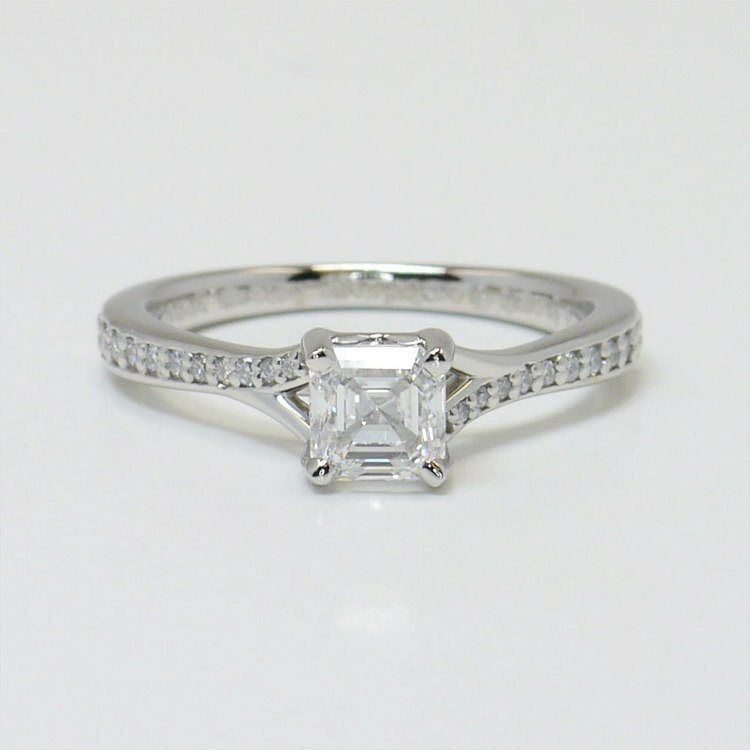 The cut is similar to the emerald cut, but was modified to include larger facets, a higher crown, and a smaller table in order to maximize the brilliance of a traditional step cut. Think of a Royal Asscher engagement ring as a compromise between old and new: you get the brilliance of a modern cut, but with the clean lines and beautiful clarity of the traditional step cut. Asscher diamonds also pair well with side stones. Highlight your Asscher engagement ring’s architectural elements with other step cuts, such as baguette or trapezoid diamonds, or add some softness with pear-cut side stones. Not sure what to pick? We’ve got you—check out our guide on the best side stones for Asscher engagement rings. Need more proof that Royal Asscher engagement rings are making a comeback? Take a look at the fingers of celebrity trendsetters! Cash Warren gave Jessica Alba a stunning, 5-carat Asscher engagement ring when he proposed to the actress a decade ago. Although they are no longer together, Coldplay singer Chris Martin proposed to Gwyneth Paltrow with a massive Asscher cut engagement ring. It’s not really a surprise that celebrities would flock to the Asscher diamond, since the Art Deco era it exemplifies is synonymous with opulence and wealth. Other celebrities that have sported an Asscher cut engagement ring include Kate Hudson, Zooey Deschanel, and Ashlee Simpson. 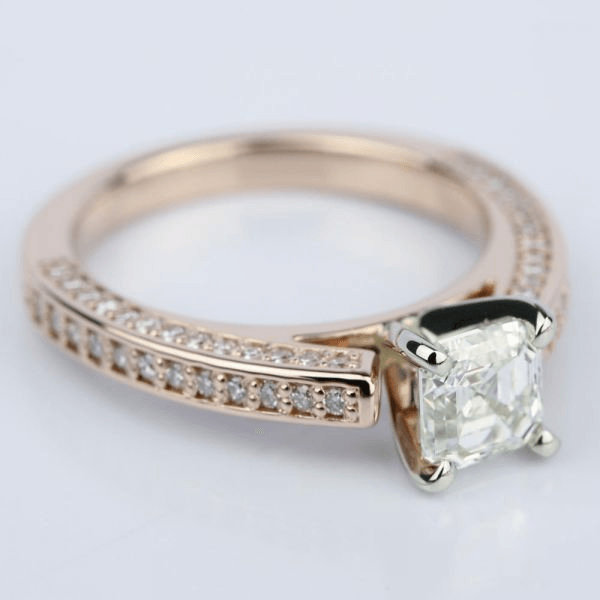 Many women look to celebrities to see what’s in style, especially when it comes to jewelry, so it’s very likely that Asscher engagement rings have become more popular in part because of the number of celebrities who now wear them. It’s not difficult to see why Asscher engagement rings are back in the limelight. These diamonds are brilliant, versatile, and worn by real Hollywood trendsetters. What’s not to love?